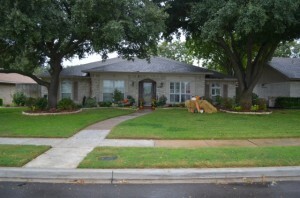 We rented a home in the Greenwood neighborhood prior to purchasing our home on Melrose. We fell in love with the Reservation and JJ Pearce and knew it was the area we wanted to purchase a home. Our kind neighbor/realtor, Rhory Mendoza and his wife Laura, showed us many houses in the neighborhood until we found this one. When we first moved into the house there were large boxwood bushes in the front lawn with minimal landscaping. 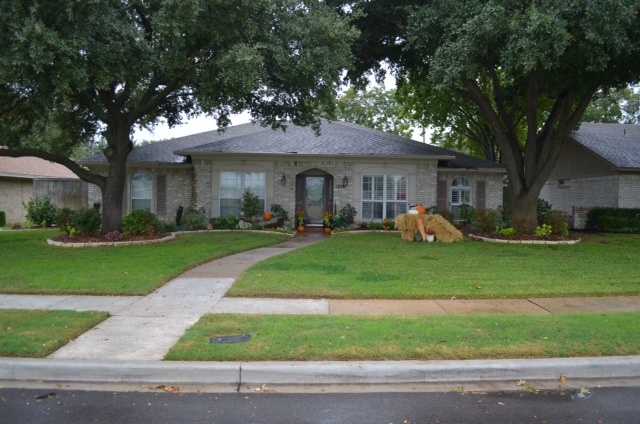 We enjoy being outside and decided to update the yard in December 2012. We tore out the boxwood bushes and metal trim ourselves. Then we hired a landscaper to design and plant a new yard that could be easily maintained and allow us to add our own seasonal plants. We planted azaleas, dwarf youpon holly, camellia, Japanese maple, pencil hollies, variegated pittosporum, and a few other plants.